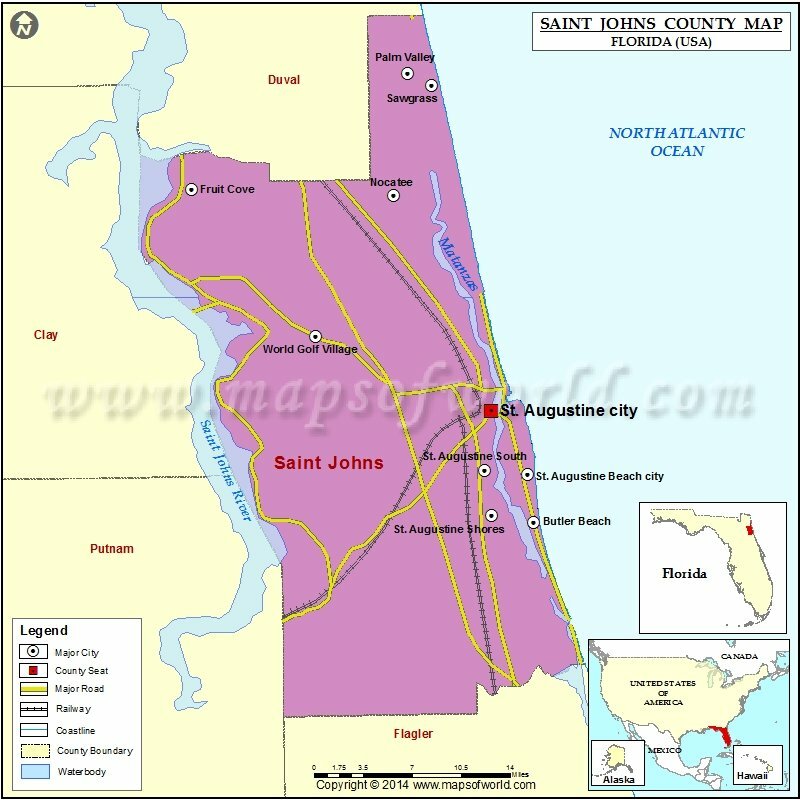 St Johns County is an important county in Florida and is also home to St. Augustine, which is the county seat as well as the largest incorporated city. Named for the St. Johns River, the county was formed in 1821. The county is spread over an area of 822 square miles. Of this, 6-1 square miles is land, while 221 square miles is water. As of 2010, the population of St Johns county was 190,039. Some of the counties adjacent to St Johns County include Duval County, Flagler County, Putnam County, and Clay County. The prominent airport included in the county is the Northeast Florida Regional Airport. Some of the prominent places of attraction in the county include Old St Johns County Jail, St Augustine Amphitheater, Lightner Museum, among others.